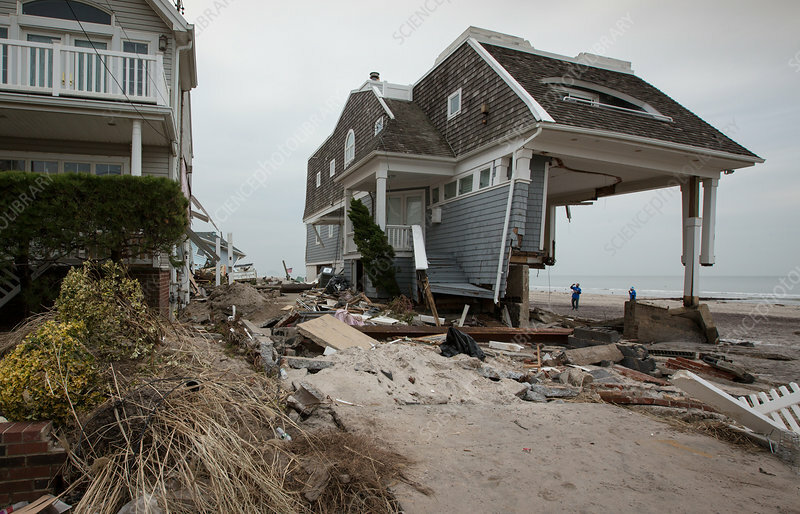 Beach homes destroyed by Hurricane Sandy in Belle Harbor, a neighbourhood in the Rockaways. Sandy's surge flooded much of the tri-state area's coastal neighbourhoods leaving thousands without power for weeks. Queens, New York.